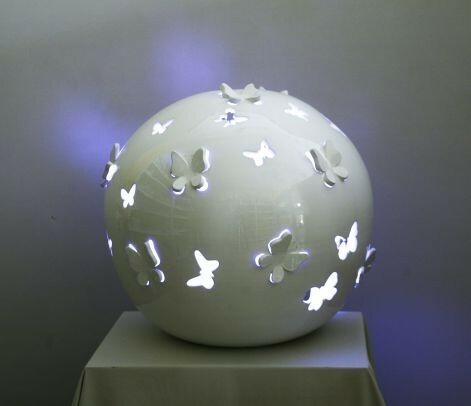 Butterflies Closed Wings Sphere Lamp made and hand painted according to the art of Italian ceramics. 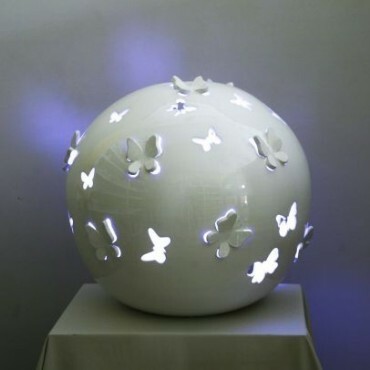 Butterflies Closed Wings Sphere Lamp made and hand painted according to the art of Italian ceramics, produced using non-toxic materials and lead-free colors. 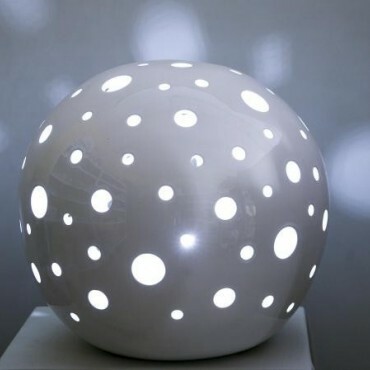 Sphere Lamp with Holes + made and hand painted according to the art of Italian ceramics. 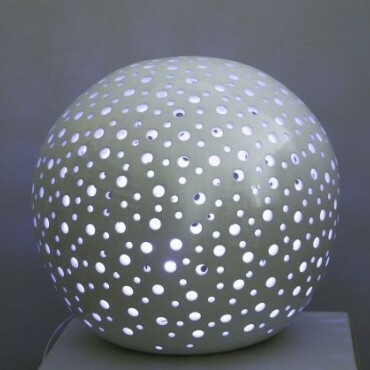 Sphere Lamp with Holes made and hand painted according to the art of Italian ceramics. 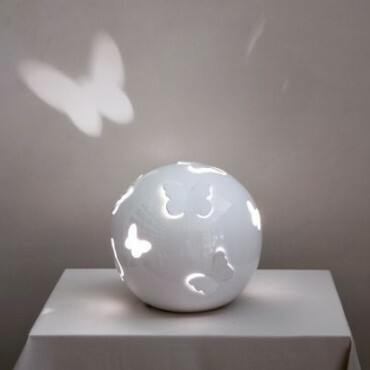 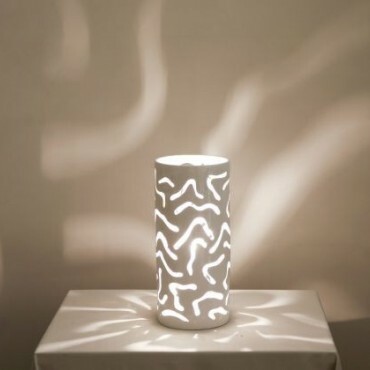 Sphere Lamp with Curved Cuts made and hand painted according to the art of Italian ceramics. 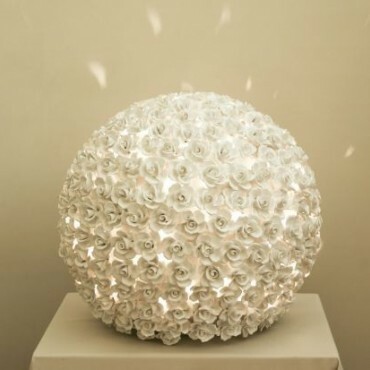 Sphere Lamp with applied Roses made and hand painted according to the art of Italian ceramics. 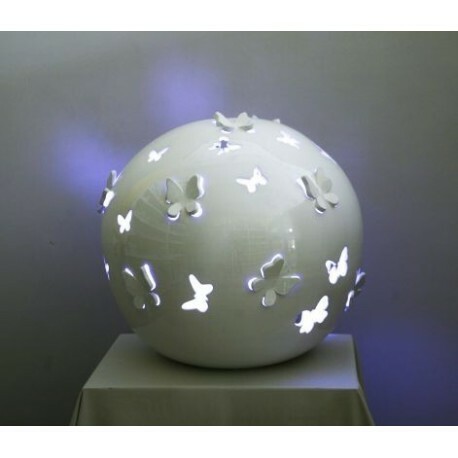 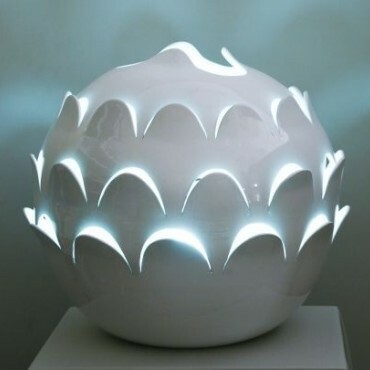 Wings Open Butterflies Sphere Lamp made and hand painted according to the art of Italian ceramics. 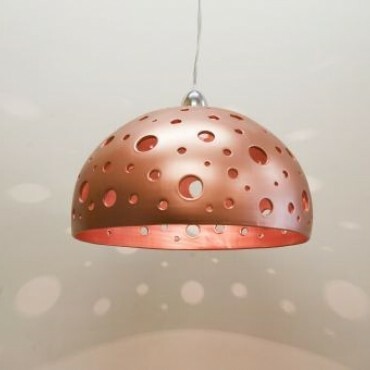 Copper Half Sphere Chandelier with Holes made and hand painted according to the art of Italian ceramics. 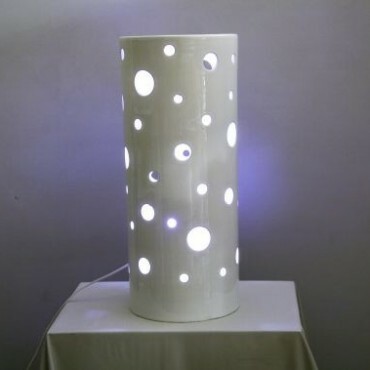 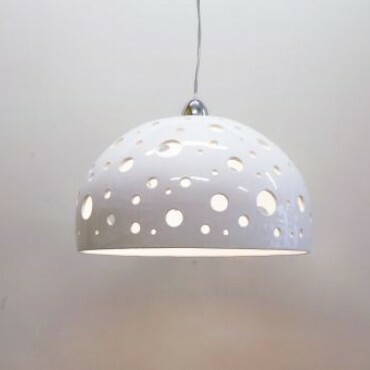 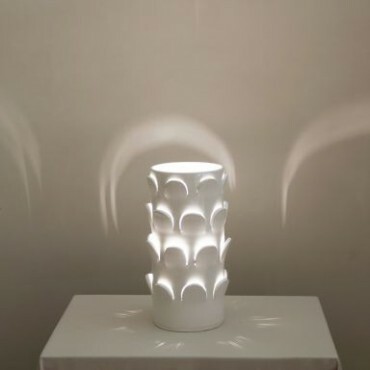 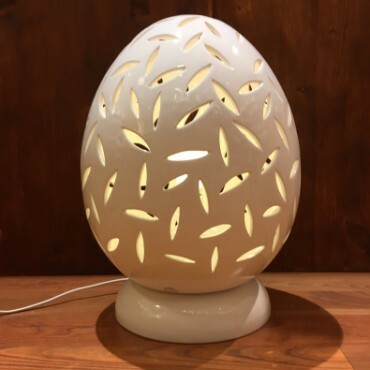 White Half Sphere Lamp with Holes made and hand painted according to the art of Italian ceramics. 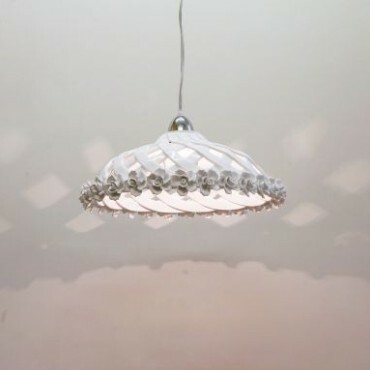 White Wrought Corduroy Chandelier, made and hand painted according to the art of Italian ceramics. 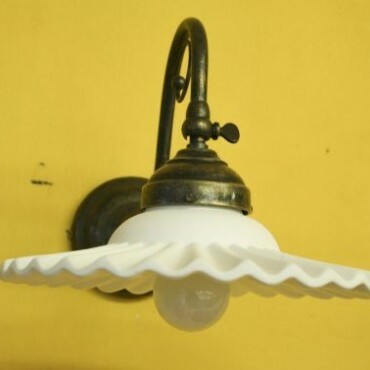 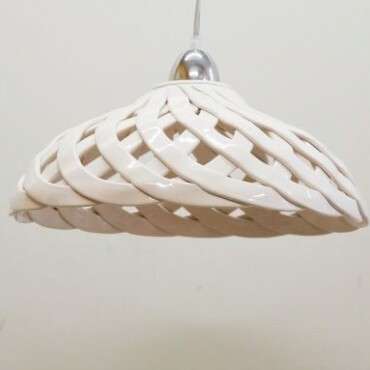 White Wrought Corduroy Cone Chandelier, made and hand painted according to the art of Italian ceramics. 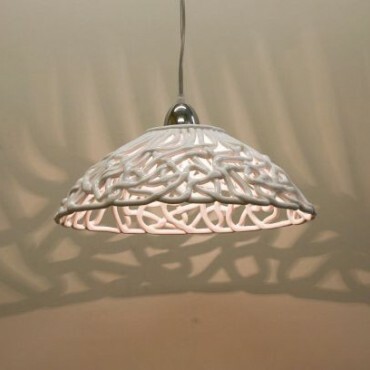 Dome Weave Copper Rope Chandelier, made and hand painted according to the art of Italian ceramics. 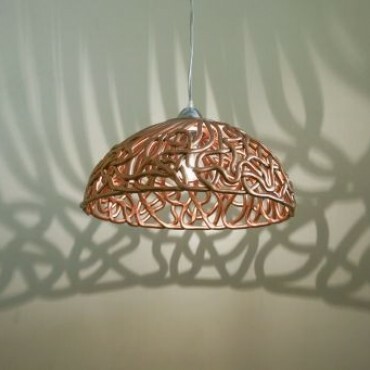 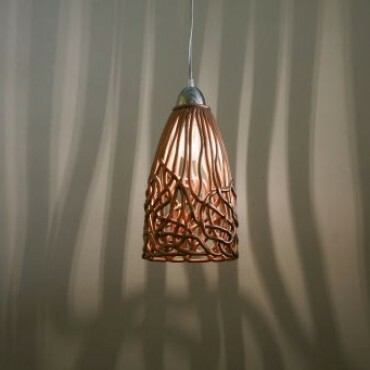 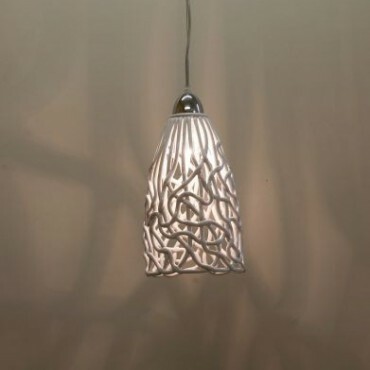 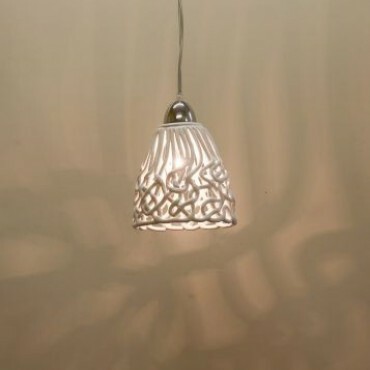 Cone Weave Copper Rope Chandelier, made and hand painted according to the art of Italian ceramics. 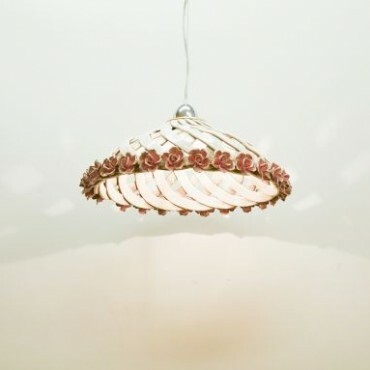 Cone Webbing Chandelier with White Applied Roses, made and hand painted according to the art of Italian ceramics. 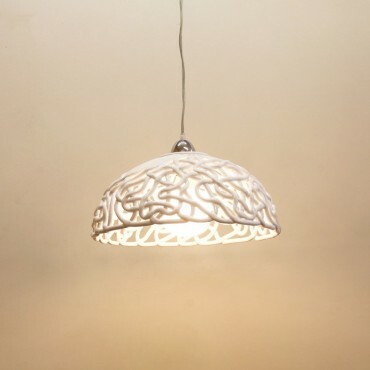 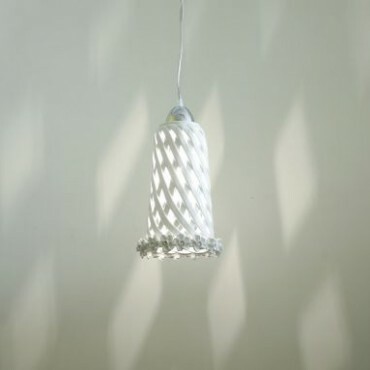 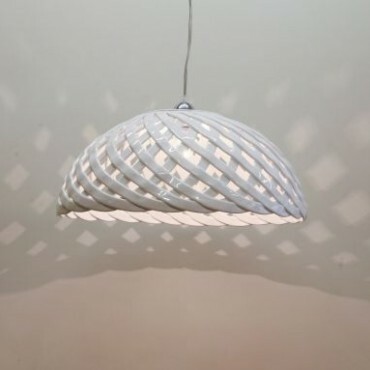 Dome White Webbing Chandelier, made and hand painted according to the art of Italian ceramics. 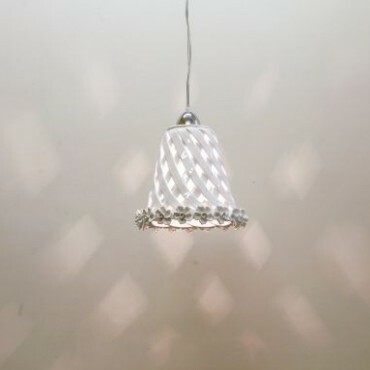 Large White Cone Dome Webbing Chandelier, made and hand painted according to the art of Italian ceramics. 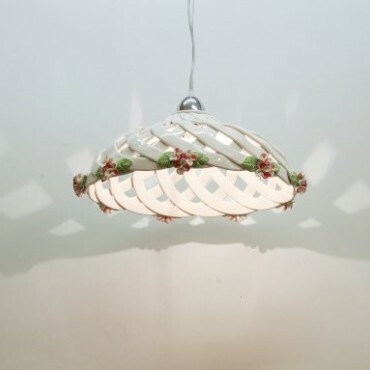 Large Cone Webbing Dome Chandelier with White Applied Roses, made and hand painted according to the art of Italian ceramics. 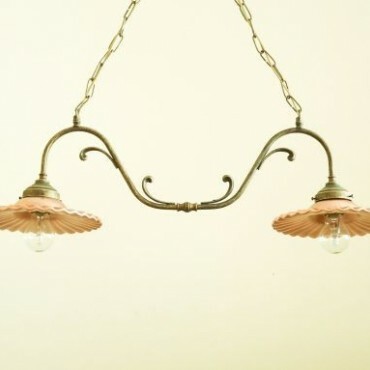 Large Cone Webbing Dome Chandelier with Pink and antique White Applied Roses, made and hand painted according to the art of Italian ceramics. 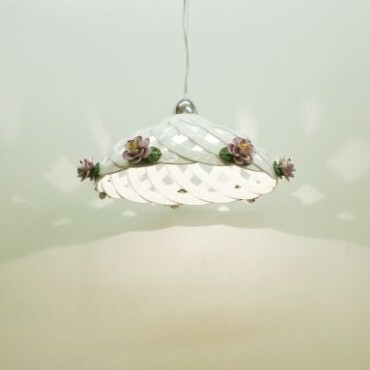 Large Cone Webbing Dome Chandelier with Pink Applied Peonies, made and hand painted according to the art of Italian ceramics. 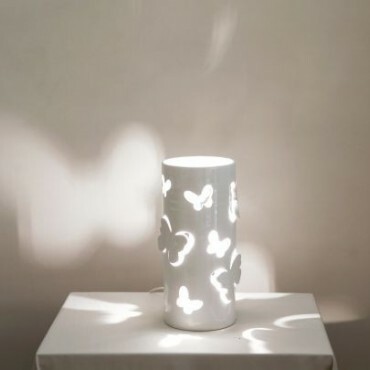 Applique with White Plate and brass base, made and hand painted according to the art of Italian ceramics. 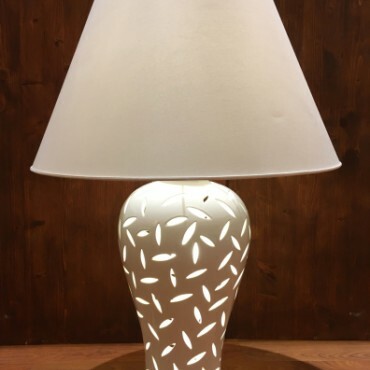 Applique with copper coloured plate and brass base, made and hand painted according to the art of Italian ceramics. 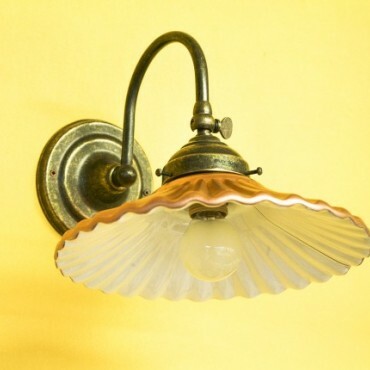 Brass Bar 58 cm with 2 ceramic plates ø 28 cm decorated copper, made and hand painted according to the art of Italian ceramics.